This is nice. Any chance finding the Bataclan concert CD version on these platforms? That's Bercy and Zenith I don't see the Olympia disc. 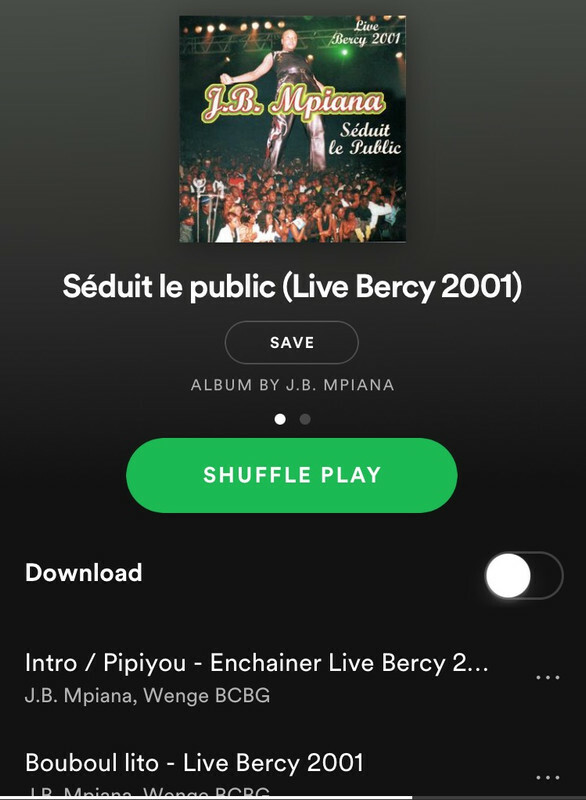 There only the second cd of Bercy "Seduit le Public" missing, but maybe we will get it later. Did Zacharie Bababaswe present all the big event of Clan Wenge ? Hahahaha Jean Marie Kassamba licro. I prefer Christian Lusakueno as presentor, but the best was Consty Eka. Consty Eka really knew how to entertain the public, that's why Koffi kept inviting him to present his big events. Look at Zenith extrait 1-album cover beurrrk, tchoko na tchoko (Maguy's, Nono's and Miette's face). I wish there was a notifications to let us know what albums are available on platform. 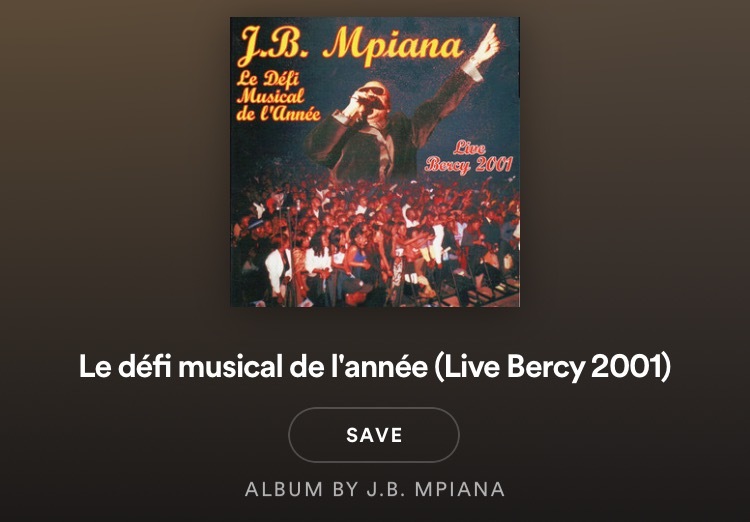 Was it just a coincidence for both vol 2 zenith and bercy to start with promesse bouboul or it was because mpela was "the second personality " in bcbg? And i would like to know .. What would TH sounds like if makaba..emelia and suzuki have participated. I wonder what was werra reaction to bcbg zenith ? 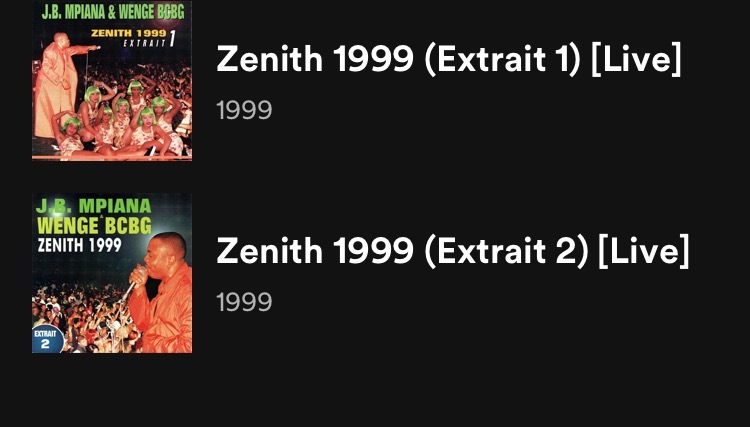 It was just coincidence, because there wasn't enough space to put Promesse Bouboule on cd1 of Zenith 1999. The first part of Wenge BCBG's Zenith was a non-stop medley of some of their hits of Wenge 4X4 (Mulolo, La Fille du Roi, Kin E Bouge, Danico, Kama Vuama, Promesse Bouboule and Djodjo Ngonda) until the sebene of the female dancers. I don't believe that if Aimelia and Suzuki particpated that alot things would change. They would just get some little vocals like Alain Mpela, Jules Kibens, Rio Kazadi and Chai Ngenge. TH was JB's solo album and not a band album like Titanic or Internet. I think that Makaba just would get 2 or 3 songs to play lead if he was still around, but the most sebenes would still be for Burkina Faso since they already prepared everything in Kinshasa. After Titanic it was already like Makaba left Wenge BCBG and in Kinshasa they were already planning about how to get rid of Makaba before TH. There was not a real reaction to JB's Zenith from Werra, because he was busy with recording Solola Bien and touring in Europe. Don't forget that Wenge BCBG's concert at Zenith was a fara-fara against Werrason's concert at Villejuif. Wenge Maison Mere planned their first concert in Paris the same day just to mess JB Mpiana's concert, because of being angry that Simon (JB's manager) did everything to not let Maison Mere get visa's of the Schengen Area. Their goodbye concert at Palais des Sports was just something to compensate the cancelled concert at Olympia for their fans.